And of course The Race! The stands and track require a single space, TAB a room, Bar a room, stables and such areas perhaps on a different level. The Race (or races) might be doable with linked video screens and pre recorded early races and a big event run at the time. After all the big race is the one most likely to be tampered with/interacted with by players. While a simple semi-mimed round the track would be easiest, a steeple chase offers the possibility of comedic effect. I suggest that Kapcon is now sufficiently mature to try one of the winners of the Golden Cobra competition, Still Life a LARP where you take the role of rocks contemplating their existence at the whim of elemental forces. 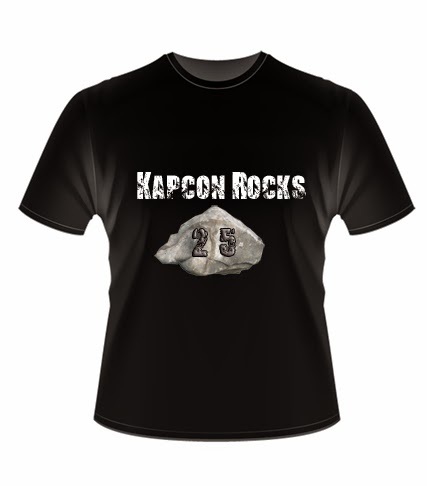 This iteration of the game would be 'the Grand Kapcon Rockgarden' where clusters of rocks are arrayed in different parts of the venue, seemingly at random... Characters will be sent out by October, possibly supplemented with a handout on the night to aid contemplation. Costumes are not required, but those seeking a more thorough immersive experience should consider a monotone leotard and perhaps prepare with some light yoga. I will supply pan pipes. Without being too macabre, Apr 2015-2016 is the 100th anniversary of the Gallipoli campaign, and overall, this is the four year period of the 100 years since WW1. In terms of a game, you have more light hearted options of a rest and hospitality station back in bonny old England, or potentially even an international political symposium on the war in 1918 who meet as the declaration of peace is announced. At any rate, I commit myself to run a WW1 based tabletop or mini-larp game at a session of KapCon 2016 (Id - hold me to this!). surrealfish wrote: Without being too macabre, Apr 2015-2016 is the 100th anniversary of the Gallipoli campaign, and overall, this is the four year period of the 100 years since WW1. In terms of a game, you have more light hearted options of a rest and hospitality station back in bonny old England, or potentially even an international political symposium on the war in 1918 who meet as the declaration of peace is announced. Its also the 100th anniversary of the anticonscription movement, the sedition prosecutions of 1916 and the birth of the New Zealand Labour Party. There's a great game in "the war at home" and its effects on NZ society if anyone wants to write it (and someone should). Verily, I bind you to your oath. When do we find out what team is chosen? Great! Get a team together and write a formal pitch! The general expectations and design parameters are here. If your game concept doesn't meet those expectations (and some games you think about and realise that they're 40 rather than 70 players) remember that there's lots of venues now in Wellington for large larps. Hydra, for one, and NZLARPS' post-armageddon game for another. You could try pitching it at them, or simply running it independently. The KapCon Cabal should be meeting this month to select a game and start the planning process for next year. I think a sci-fi or bunker Larp run in the stairwell (and possibly also one of the corridors that run towards the toilets) would be interesting. It's a brutalist concrete setting, which would suit some things well (and other things badly). It would certainly be a different use of the space, and we have plenty of gazebos if we want to break it up (e.g. to turn it into a narrow street for Hamish's promised 2020 Cyberpunk game). I will try to remember this specific spatial suggestion. My games: The Sprawl; Conquering Corsairs. Con Rotation: The Sprawl; Dungeon World.